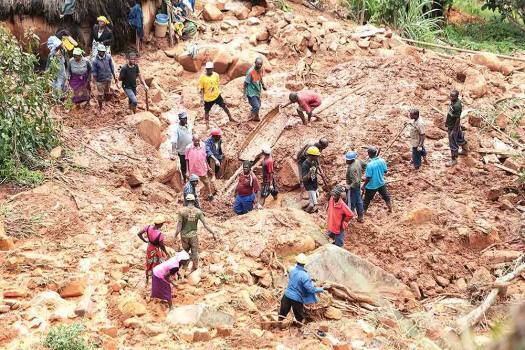 A helicopter flies above the area destroyed by cyclone idai in Chimanimani about 600 kilometres south east of Harare, Zimbabwe. 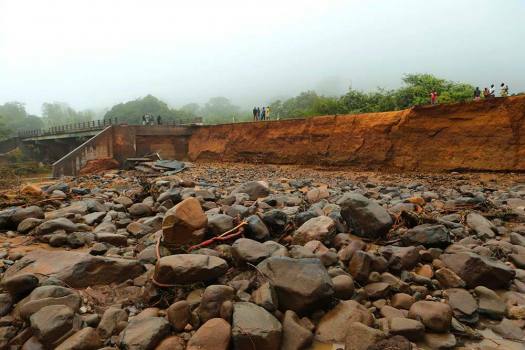 A collapsed road near a bridge is seen in Chimanimani, southeast of Harare, Zimbabwe. 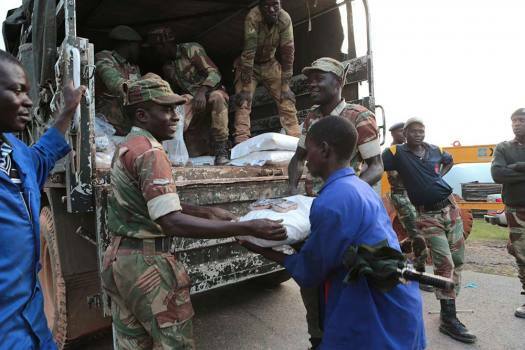 Soldiers handout food supplies to people in Chimanimani, southeast of Harare, Zimbabwe. 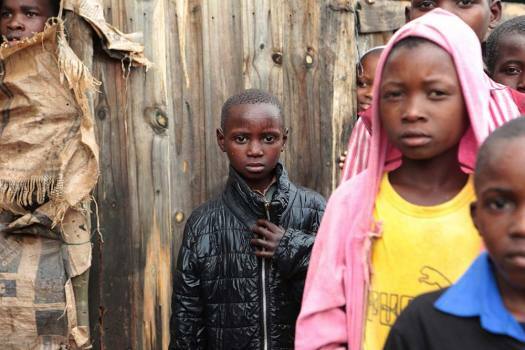 Children stand near a makeshift shelter after a cyclone went through the area in Chimanimani, southeast of Harare, Zimbabwe. 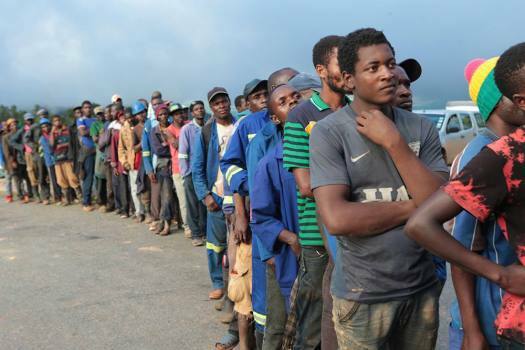 People wait in a queue to receive food supplies from soldiers in Chimanimani, about 600 kilometers southeast of Harare, Zimbabwe. 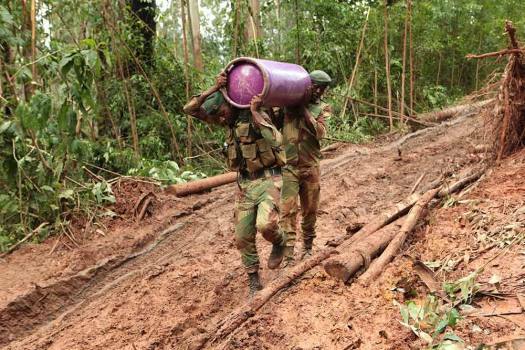 Soldiers carry supplies to affected areas in Chimanimani, about 600 kilometers southeast of Harare, Zimbabwe. 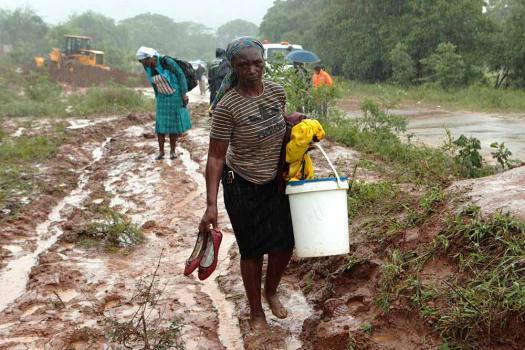 People trudge through a muddied path to safer ground in Chimanimani, about 600 kilometers southeast of Harare, Zimbabwe. 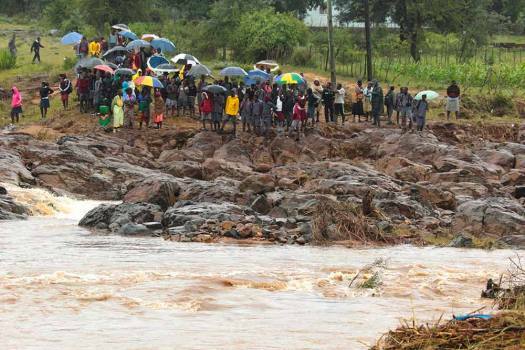 Schoolchildren are stranded across a collapsed bridge in Chimanimani, southeast of Harare, Zimbabwe. 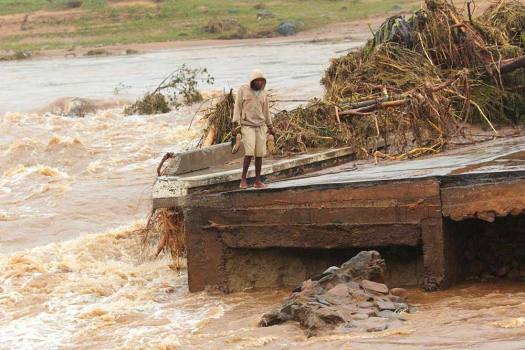 A man stands on the edge of a collapsed bridge in Chimanimani, about 600 kilometers southeast of Harare, Zimbabwe. 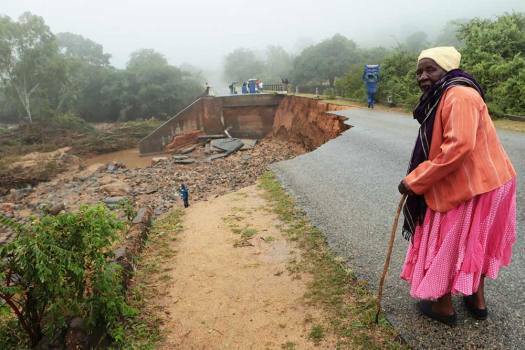 An elderly woman stands next to a collapsed bridge in Chimanimani, about 600 kilometers southeast of Harare, Zimbabwe. 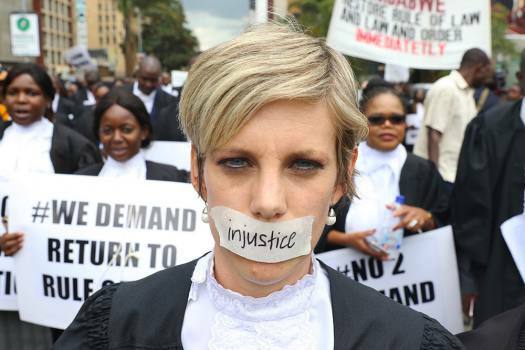 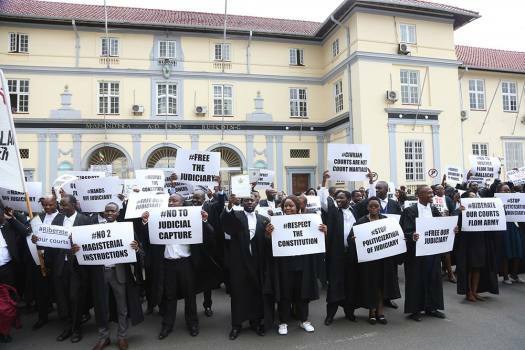 Zimbabwe lawyers take part in a protest over rule of law concerns in Harare. 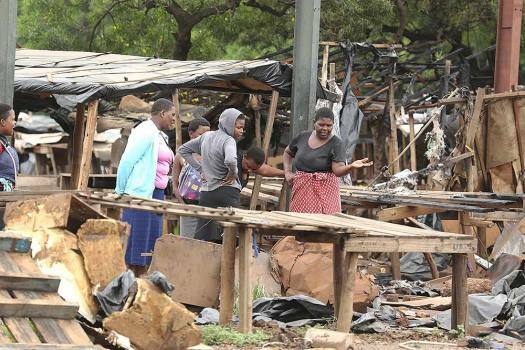 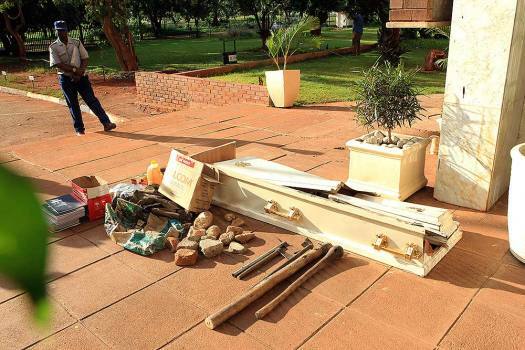 Mozambique, Zimbabwe and Malawi have been hit by a vicious cyclone that has killed nearly 150 people, left hundreds more missing and stranded tens of thousands. 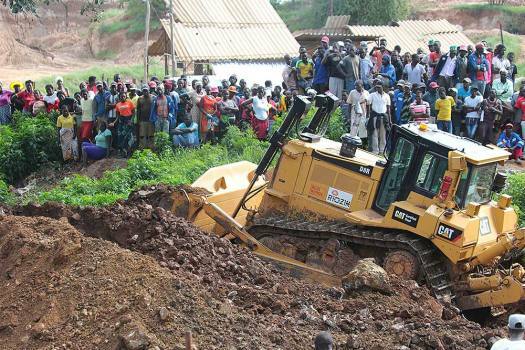 Of the deceased, 45 are adults and two are children, according to police. 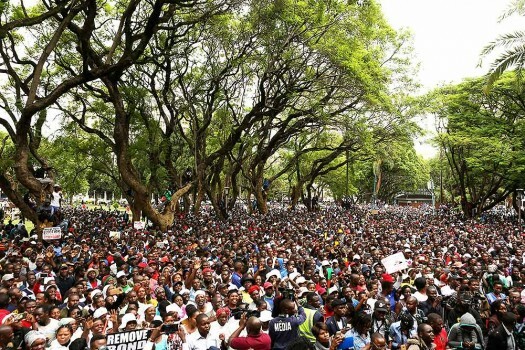 Zimbabwe President Mugabe: Post-Colonial Hero Or Power-Hungry Dictator? 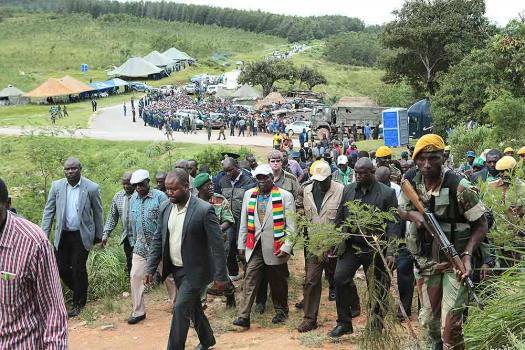 With the military overthrowing the government and rival VP Mnangagwa now set to take control, Mugabe's grip on power is not just threatened but absolutely annihilated. 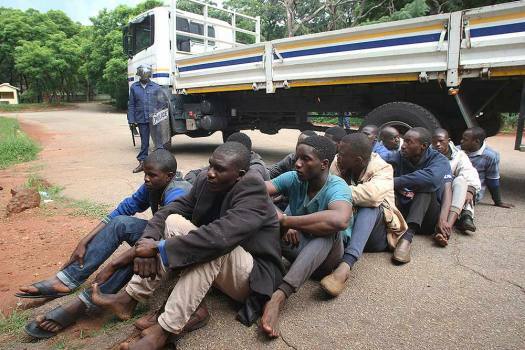 The ruling party accused the commander of "treasonable conduct."